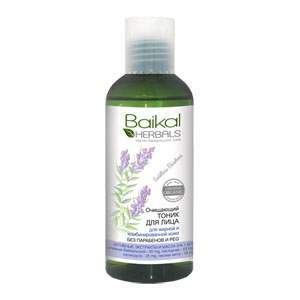 Cleansing Face Toner is produced by the Russian beauty brand Baikal Herbals. It is formulated with Baikal plant extracts. The product effectively cleanses and soothes your skin, keeps it fresh all day. Calendula and Baikal skullcap eliminate skin redness and irritation, reduce skin pore size. Parsnip soothes and softens the skin. Peppermint has an energising effect and improves skin elasticity. Due to its natural active ingredients, the toner restores your skin’s natural hydro-lipid balance and makes it look healthy. Ingredients. Aqua with infusions of: Scutellaria Baicalensis Root Extract, Pastinaca Sativa Extract, Organic Calendula Officinalis Oil, Mentha Piperita (Peppermint) Leaf Extract, Organic Spirea Ulmaria Extract, Organic Salvia Officinalis Leaf Extract; Glycerin, Lauryl Glucoside, Decyl Glucoside, Parfum, Citric Acid, Benzyl Alcohol, Benzoic Acid, Sorbic Acid. Want to buy Cleansing Face Toner? Call us or submit your order via our web site!